These easy cheese muffins are easy to make and make a great addition to a simple soup or pasta meal. Several times recently I have though about giving up my Cooking Through My Collection series, but the reality is I love this series. This series forces me to pull cookbooks off the shelf and use them. It gives me new inspiration and I hope it does you too. Online recipes are great, but there is still something about a real cookbook that I love. And I want to encourage you to love yours as well. The recipe I am sharing today is from the cookbook Joy of Cooking . Joy of cooking as been around for years. I think for over 75 years. It is one of those classic cookbooks that everyone loves. It has been updated many times over the years, to make the recipes more modern and updated, but the basics of the cookbook have stayed the same. It is a classic cookbook. It is one of those cookbooks that pretty much everyone should own. The edition I have is one that I picked up used several years ago. I will admit that I have not used this cookbook as much as I should have. Every time I pull it off the shelf, I realize how many everyday practical recipes are in it. I need to use it more. Joy of Cooking is one of those cookbooks that makes a great gift for a wedding shower gift or for someone that is new to cooking. If I only had a couple of cookbooks in my collection this would be one of them because of how practical the recipes are in it. 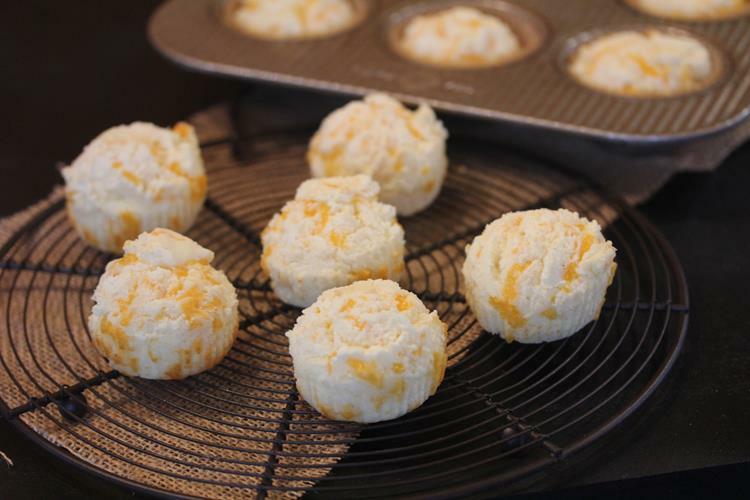 These cheese muffins are an example of the simple recipes that are in it. These are simple and use basic ingredients. There is nothing fancy about these muffins. 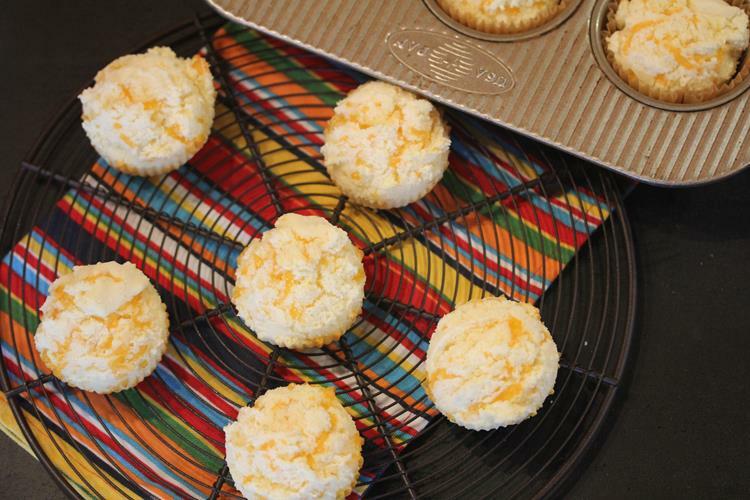 They are kind of a cross between muffins and biscuits with cheese added. The texture is actually more biscuit like than muffin like, but they are made in a muffin pan. These are a perfect side for a simple soup. I am also sharing what I did not make them gluten free below. The recipe contains the regular version and the gluten free one. And that muffin pan in the picture is my favorite muffin pan. It is a USA Muffin Pan and I LOVE it. It is the best muffin pan I have owned. I you have not tried USA Pans you need to. In a bowl combine flours, baking powder, sugar, and salt. Stir in cheese until cheese is well coated and set aside. In a separate bowl combine egg, milk, and melted butter. Egg mixture into flour mixture. Stir just until well combined. The dough will be thick and more biscuit like than muffin like. The Joy of Cooking, along with a Fanny Farmer cookbook I have, are my go to cookbooks. 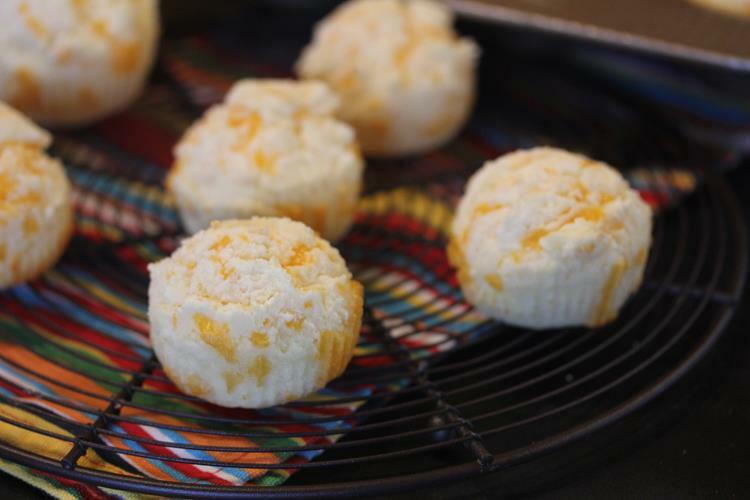 I haven’t made these cheese muffins, may need to look them up. Yes Fanny Farmer is another classic cookbook! It makes about a dozen.